Arsenal defender Gabriel has been banned for one match and fined £10,000 after admitting a Football Association charge of improper conduct. Gabriel, 24, was sent off by referee Mike Dean for violent conduct after a clash with Chelsea's Diego Costa during the 2-0 defeat at Stamford Bridge. 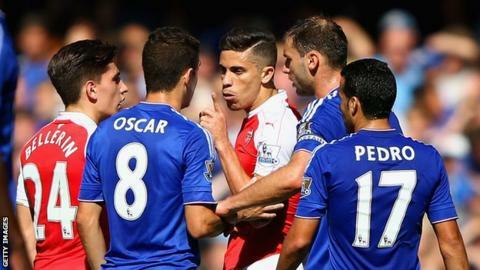 Arsenal appealed successfully against a three-match ban for the red card. The charge related to the Brazilian failing to leave the pitch immediately after being sent off. Chelsea striker Costa, meanwhile, was found guilty of violent conduct and banned for three matches following an altercation with Arsenal defender Laurent Koscielny.